Ruling out a cervical spinal injury requires clinical judgement and training. A three view cervical x-ray series which includes the C7/T1 interface. In those with degenerative disease of the cervical spine, a plain film series is often inadequate to assess for injury. 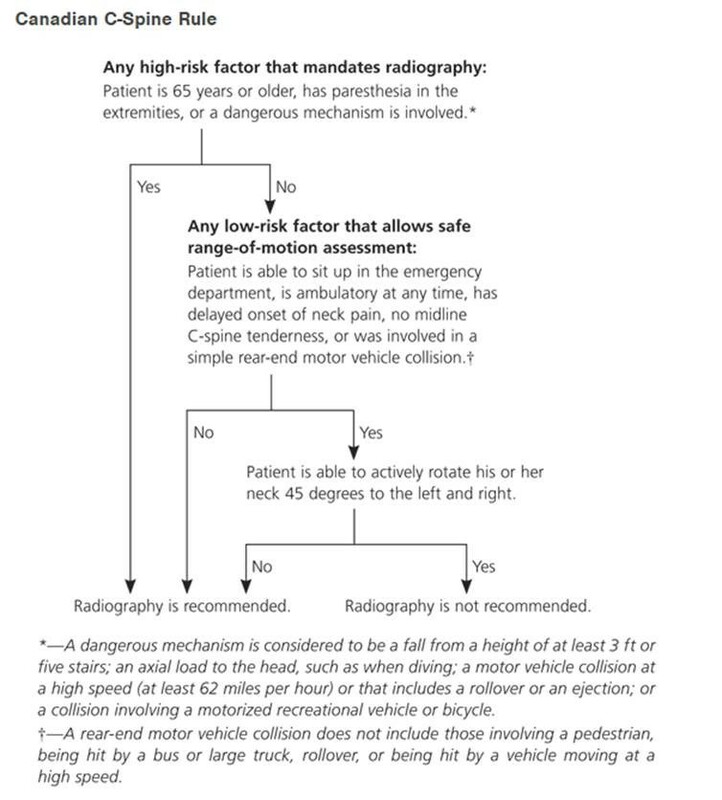 Plain radiographs, even when technically optimal, may fail to reveal significant injury. If there is clinical suspicion, a Computerized Tomography (CT Scan) may be needed to rule out a fracture, and flexion-extension radiographs or Magnetic Resonance Imaging to exclude a ligament injury.